Why High Efficiency Air Conditioning Units? 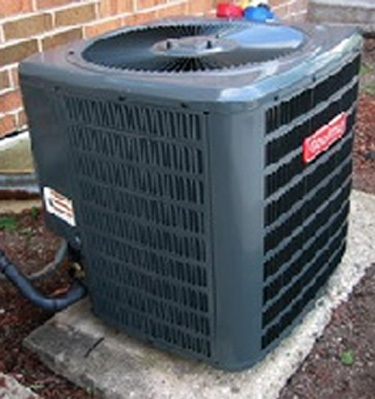 Older central A/C units can be costly to operate and maintain. New units are more efficient and use less energy while lowering your electric bill. This $1500 government tax credit is designed to encourage the use of high-efficiency central A/Cs and heat pumps. Annual energy savings for a 15-SEER or greater unit could be up to 30 percent when compared to a 12-SEER unit. 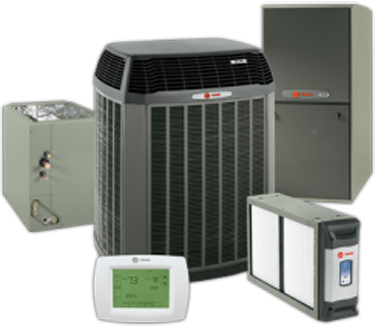 Additionally, some super-efficient air conditioners and heat pumps are equipped with variable-speed compressor technology that allows equipment to operate at a lower capacity during moderate weather. This results in better humidity control and more efficient operation. When the weather is hot, they step up to full-speed operation. Buying a bigger room air-conditioning unit won't necessarily make you feel more comfortable during the hot summer months. In fact, a room air conditioner that's too big for the area it is supposed to cool will perform less efficiently and less effectively than a smaller, properly sized unit. Sizing is equally important for central air-conditioning systems, which need to be sized by professionals. If you have a central air system in your home, set the fan to shut off at the same time as the cooling unit (compressor). In other words, don't use the system's central fan to provide circulation, but instead use circulating fans in individual rooms. 01. Central air conditioners with high SEER specifications cost more to buy and less to operate. Be sure to find out about local utility and government rebates. They may offset all or most of the cost difference between a 13 SEER air conditioner and a high-efficiency model. 02. Scroll compressors have fewer moving parts than the older, reciprocating compressors, and are more reliable. Scroll compressors are also quieter and more efficient. However, because of their smaller volume, they are less forgiving if liquid refrigerant flooding should occur due to overcharging of the system. 03. Some cheaper models still use R-22 refrigerant (often called Freon). Freon damages the atmosphere's ozone layer and is being phased out. R-22 units will not be manufactured after 2009 and the refrigerant will eventually no longer be available. Most air conditioners now use R-410A. 04. Look for sound-dampening features such as vibration isolation for the compressor and insulation. Also, louvers or heavy-duty wire grids and caps protect the unit from weather and impacts from sports or lawn equipment. If noise concerns you, ask prospective contractors for the decibel ratings of the units they are proposing. 05. A ten-year warranty on the compressor and five years on other parts is typical. Some models come with a better warranty. 06. Check that the contractor meets your locality's licensing requirements, and is certified to handle refrigerants. The contractor should also be bonded and insured against liability. 07. Consider a two-stage air conditioner for maximum comfort and efficiency. These high-end units use two compressors and fans. They cost about 30 percent more than a single-stage air conditioner. A good contractor will evaluate your entire HVAC system and make appropriate recommendations, starting with whether to repair or replace an existing air conditioner. House and duct insulation, window upgrades and other energy efficiency improvements could make a bigger difference than a new air conditioner. If your air conditioner is old, consider purchasing a new, energy-efficient model. You could save up to 50% on your utility bill for cooling. Look for the ENERGY STAR and Energy Guide labels. The shopping guide in the back of this booklet will help you find the right size unit for your needs. Consider installing a whole-house fan or evaporative cooler if appropriate for your climate. Check out www.energysavers.gov for more information on efficient cooling.